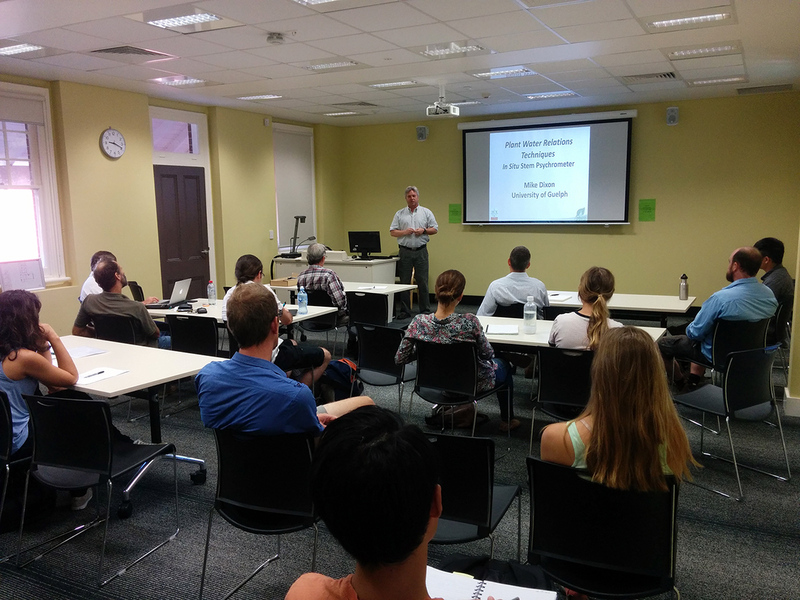 Earlier this week, we held a Stem Psychrometry Workshop workshop at the Hawkesbury Institute for the Environment, in collaboration with manufacturer ICT International and the technology’s inventor Mike Dixon (University of Guelph, Canada). ICT’s PSY-1 stem psychrometer allows automated, repeated measurements of plant water potential using high-precision thermocouples installed on a plant, and we have been using them in lab- and field based setups from the tropical rainforest in Far North Queensland to the semi-arid South Australian mallee. 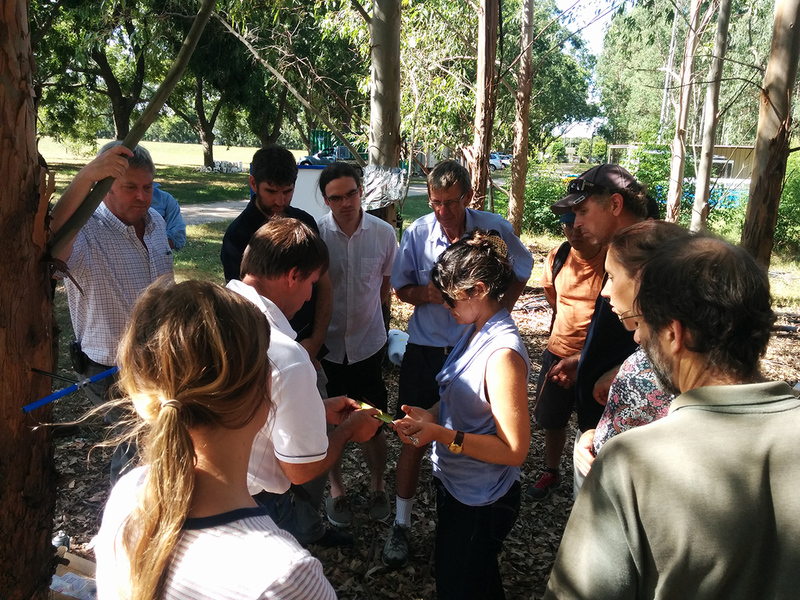 The first part of the workshop consisted of presentations around automated plant physiological measurements using stem psychrometers (for plant water potential) and sap flow meters (which quantify water transport). 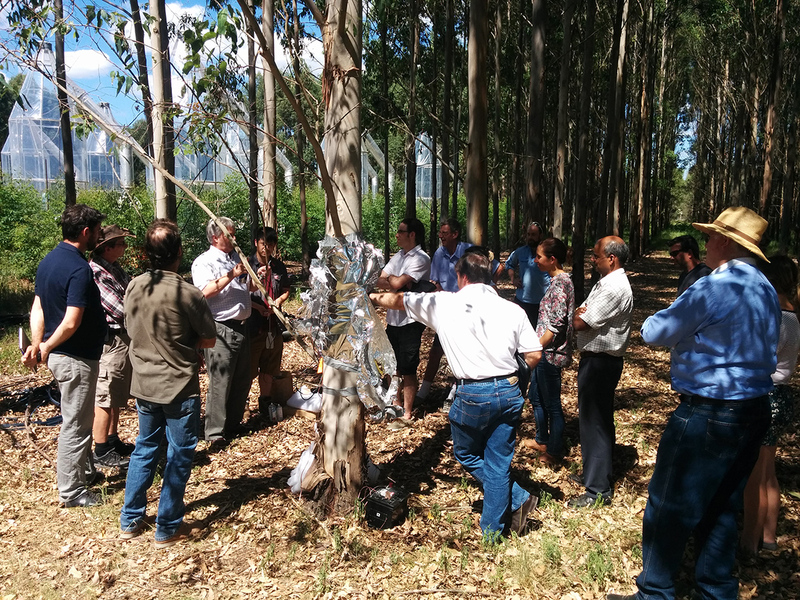 In the second part, we demonstrated the installation and handling of these sensors at the Hawkesbury Forest Experiment, and collected data from psychrometers and sap flow meters to discuss data interpretation. We were happy to host 25 very interested participants from research and industry backgrounds, to discuss possible sensor applications and spark future collaboration.